The reality for every runner’s journey is you will hit a few snags along the way. If overlooked, these can become serious injuries that can force you to take a long break from running. However, we can easily avoid them by paying due attention to your running basics. Considered to be the most common running related injury, PPS is the pain around or behind the patella (kneecap) during or after your runs. Cause(s) - Repetitive running/over training, biomechanical issues or muscle imbalances – weak glutes, hips, tight hamstrings, quadriceps. PPS occurs when your weak or inflexible muscles can’t control hip and thigh movement or give enough support to the patella. Prevention - Pay greater attention to your running form, strengthening and stretching routine. Reduce your running mileage, avoid downhill running and opt for softer surfaces- treadmill, grass, elliptical training or swimming. Icing, taping and some pain killers may help. Incorporate focussed leg strengthening workouts - at least 2 times a week. Improve running form to shorten stride length and land with knees slightly bend. Remember to warm-up & cool-down and also to stretch and foam roll your hip flexors. This injury, plagues new runners or those getting back into running. When the muscles and tendons around your shin bone (tibia) get inflamed, it causes a stabbing pain in the front/outer or inner side of your leg. Cause(s) - Doing too much, too soon. Also, your running gait, wearing incorrect shoes for your arches (high or flat) or worn-out shoes can cause this. Prevention - At the first sign of pain, stop running for a few days. Ice the shins for 15-20 minutes. Get a blood test as your vitamin D and calcium levels may be low. You may need to get new sneakers with better cushioning, stability or insoles that support your arches. Remember to build mileage slowly- no more than a weekly increase of 10%. Strength work should focus on hips, calves, core and include lateral movements. Don’t forget to stretch your calves, hip flexors and back, too. The iliotibial (IT) band is the connective tissue that stretches from the pelvic bone, along the outside of your thigh bone (femur) and connects to your knee. When the IT band gets inflamed, you will feel pain on the outside of the knee, specially while running. Cause(s) - Sudden increased mileage, weak muscles- glutes & hips- and too much downhill running. Prevention - Stretching, strength training and foam-rolling. You need strong gluteal muscles to stop unnecessary shifting of your pelvis and femur that causes ITBS. At the onset of pain, please stop running and spend a few days either swimming or using the elliptical trainer. Strength train at least 2 times a week - focus on hip-abductors and gluteal muscles. Foam rolling twice a day or daily stretching with focus on hips is beneficial. Re-asses your running form (Get a running coach! )- Perhaps shorten your strides. When the connective tissue in the soles of your feet that support your arch (Plantar fascia) get inflamed, it causes pain in the arches of your feet, close to your heel. PF is usually at its worst when you get out of bed in the morning. Cause(s) - Excessive over-pronation or supination, weak core muscles, tight hip flexors, calves and feet. Runners with very high or very low arches are susceptible. Sudden increase of mileage causes it, too. Prevention - Rest, icing, calf rolling and stretching, and foot-strengthening exercises. Wear shoes with extra cushion and get lots of rest. Use a frozen water bottle, tennis or golf ball to roll the balls of your feet, twice in a day (I’ve tried and tested this!). Strength train your core, calves four times a week and stretch daily. Recovery time can range from three months to a year, so be patient! When the tendon that connects the two major calf muscles to the backs of your heels, is stressed or is weakened, it causes pain (AT). Don’t ignore, as it can get very serious and may take up to six months to go away! Cause (s) - Bad running form, rapid increase in mileage (hills and speed work) or a naturally flat foot. 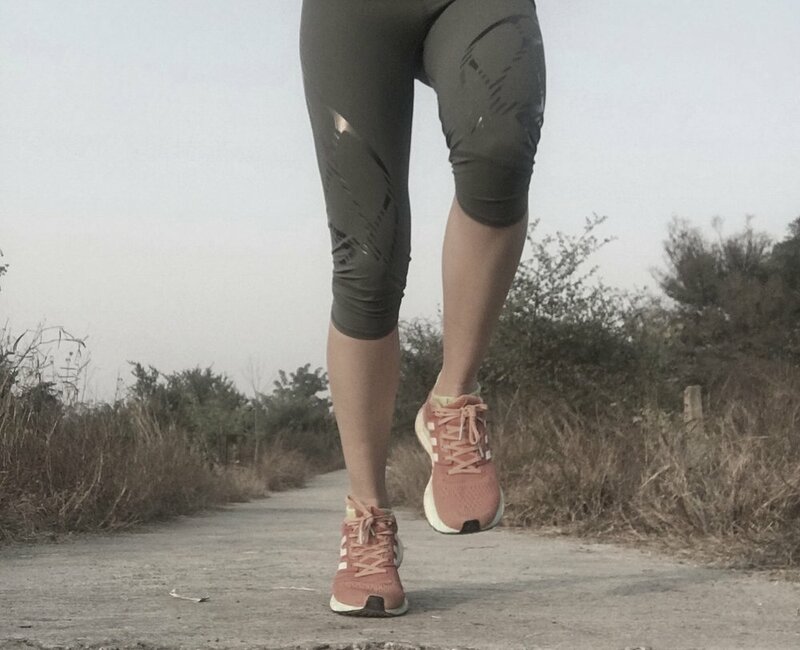 Runners with a weak posterior chain of muscles (calves, hamstrings, glutes), different leg lengths and other muscle imbalances are highly susceptible. Prevention - Proper stretching, focussed strength training and the good old R.I.C.E. (rest, ice, compression and elevation) technique. Wearing supportive shoes, especially if you severely pronate will be helpful. Strength work should include- eccentric heel drops, calf raises, burpees, squats, lunges. If you notice, nearly all injuries are a result of overreaching your goals and beating your body. So please pay attention to your running posture. Yes, I’ve suffered from some of these but have managed to come back fitter and stronger. Here is the link to tried & tested warm-up, cool-down and strength training routines. This article was written by me for Men's Health India. It is featured there, too.